BONSAI STARTER KIT – EVERYTHING YOU NEED TO GROW 8 UNIQUE BONSAI TREES: Go from seedling to Bonsai master with this 43 piece bonsai kit. Enjoy DOUBLE the number of bonsai compared to other sets, and a variety of extras unavailable anywhere else. 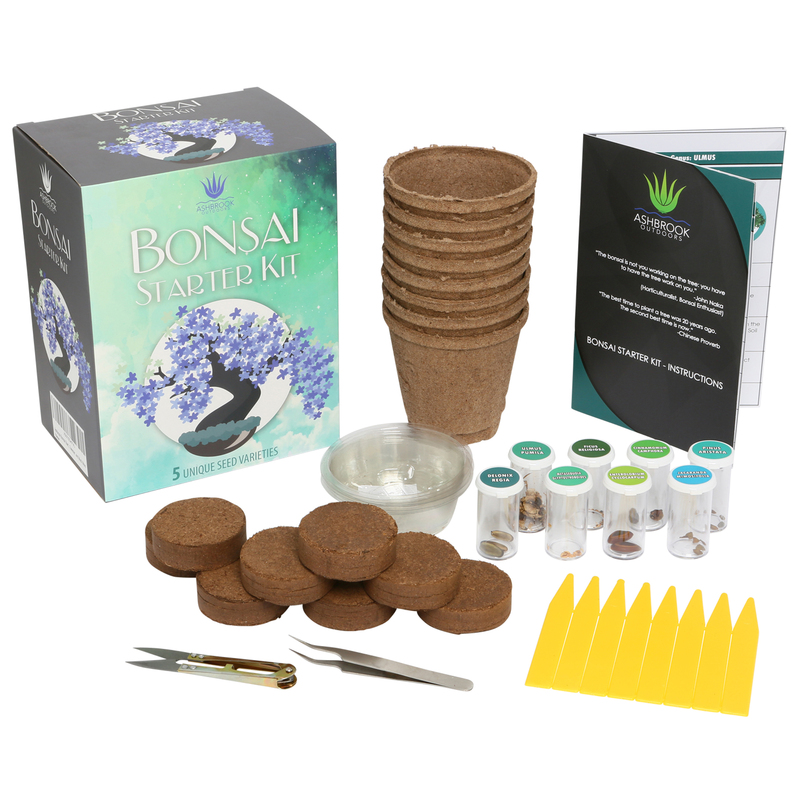 Each kit includes: 8 biodegradable bonsai pots, 8 bonsai soil discs, 8 bonsai seed varieties, 8 moisture proof vials, 8 plant markers, 8 bonsai trays, 1 pair of pruning shears, 1 pair of stainless steel shaping tweezers, and 1 instruction booklet. Here are few primary ways that bonsai-ists maintain their trees. The first method is maintenance pruning to maintain the plants desired shape. The second is structural pruning. Structural pruning is more intensive and geared toward the overall structure of the plant. So you’ve decided to enter the strange and exotic world of the bonsai? Congratulations! There is something uniquely satisfying about seeing the fruits of both your patience and labor personified in the form of a healthy well-maintained bonsai tree. Before you set out on this journey, take a minute to learn a bit more about this ancient artform.